Sony Xperia M is an android 4.3 jellybean smartphone with premium features. The Sony Xperia M has 4 models C1904, C1905, C2004 and C2005. Xperia M is a mid range android smartphone with 1 GHz dual core Qualcomm Krait CPU(ARMv7), Qualcomm MSM8227 chipset, 1 GB RAM and Adreno 305 GPU. I am going to write a full review on Sony Xperia M C1905 and C1905 models. I will cover everything about this smartphone which will help you decide whether you should buy this phone or not. The tutorial will cover everything about Xperia M C1904 and C1905(UK model) like all hardware specifications and explanation, benchmarks, performance and in the last we will its pros and cons. So lets start. The phone is packed in a small box on which all the details are mentioned about the handset. In the box we can found the wall charger with a USB data cable, handset, earphones, battery and user manuals. It runs on android 4.1 jellybean out of the box. Xperia M is available in three colors white, black and purple. I have the black phone model. The Xperia M is totally made of plastic. The back cover is also made of plastic with a rubber coating and it is like a container that covers the entire phone from its back. On the right side of the phone you can find aluminium power button, volume buttons and a camera button. These three buttons are fitted in the back cover, and they may come out overtime if used rigorously. Due to the rubber coating on the back cover the phone achieves a good grip but can slip out of the hand if your palm is wet or oily. On the back side of the phone you will find primary 5 MP camera, LED pulsed flash, second microphone, a metalized SONY logo, NFC logo and the internal speaker. Xperia M has good build quality and looks and its looks stylish and weighs only 115 gms. It has also won the REDDOT award 2014 which is given for best design and looks. So in short I would say that this phone has a trendy and eye catching look and it is neither too small and nor too big for the pocket to fit in. It is a perfect combination of design, looks, size and weight. Currently the Xperia M runs on android 4.1.2 jellybean out of the box but is upgradable to android 4.3 jellybean 15.4.A.0.23 firmware. 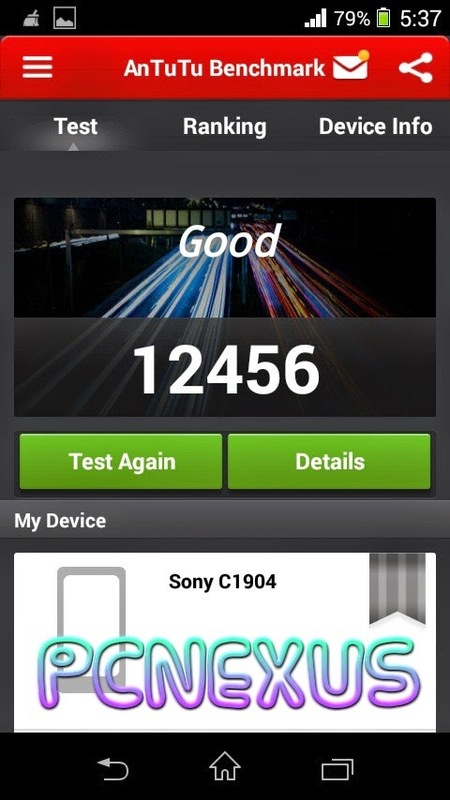 Sony has already confirmed another android 4.3 upgrade for Xperia M which will be 15.4.A.1.9 because the 15.4.A.0.23 firmware has various bugs. Read Xperia M New Update 15.4.A.1.9. This update will be globally released in June 2014. Xperia M uses the timescape UI which is fast and fluidic. Xperia M has a 1 GHz dual core Qualcomm Krait CPU which is fast enough for smooth performance. 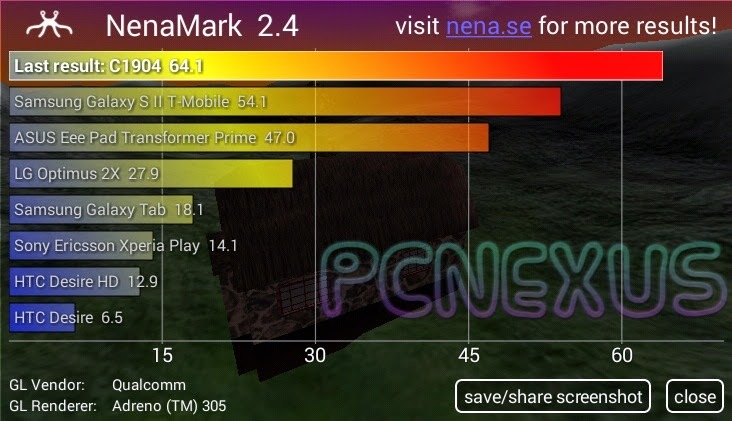 Xperia M has got a strong GPU, the Adreno 305 which is also found in Moto G. Due to the presence of adreno 305 Xperia M can play heavy 3D android games like iron man 3, GTA Vice City, Real Racing 3, FIFA 13, NFS Most Wanted, Asphalt 8. But games like GTA sanandreas shows up incompatible in play store but I think Xperia M supports it if we do a manual install of the apk file. Classic games like angry birds, temple run 2, subway surfers, sprinkle islands never lag on it even a bit. Xperia M features the Qualcomm Snapdragon S4 Plus 400 MSM8227 chipset. The adreno 305 is a strong and powerful GPU that why while playing heavy games the upper back part of the Xperia M becomes hot. While playing games on this phone the temperature rised upto 43 degree celcius which is hot and is due to adreno 305 but is completely normal. Xperia M has got a normal 4 inch TFT capacitive touchscreen with 16M colors and resolution of 854x480 pixels. The pixel density is only 245 ppi. The screen is missing the IPS display, mobile Bravia engine and gorilla glass protection. The screen glass is scratch resistant but invest some money in installing a screen guard. Sony should have provided Corning Gorilla Glass protection in Xperia M. However screen is bright enough and can display good colrs, but it is not much sharp as expected. The pixel grains on the screen becomes visible if you examine the screen with your eyes at a close angle but the pixels can not be seen at normal view angle and are completely invisible while browsing internet in chrome browser or UC browser HD. While playing some games the zagged edges can be seen which is due to low anti-aliasing. Zagged edges and pixels grains cannot be seen while watching HD movies. The screen brightness can be set to automatically adapt to lightning conditions inside and outside the house. A light sensor on Xperia M automatically adjusts the screen brightness so that you can view the screen even in sunlight without any problem. Xperia M has all the connectivity features that a mid range android phone lacks. It has Bluetooth 4.0 with ANT+, dual band Wi-Fi a/b/g/n that can operate on two frequencies either 2.4 GHz or 5.0 GHz. It also has Wi-Fi direct and DLNA. With Wi-Fi direct you can send files easily and very fast. With DLNA and you can stream your phone’s media content wirelessly on other DLNA compatible devices over Wi-Fi. Xperia M has NFC with android beam. NFC can be used to transfer small data files like images, videos, music, browser pages and YouTube video streaming. On your Xperia M you can use ‘Drag and Share’ app to transfer media files via NFC to other NFC enabled phones. The NFC chip can be found on the back cover of your Xperia M. The NFC chip is basically installed as black sticker called NFC tag on the back cover. So do not break or twist the cover otherwise NFC will stop functioning. Other special connectivity features include screen mirroring and Xperia link with link. With screen mirroring you can watch your phone’s videos or photos on a bigger screen like a Sony Bravia LED TV and Xperia Link can be used to share your phone’s internet connection with tablet/PC via Bluetooth or NFC. Xperia M has micro USB 2.0 ports. The phone can be connected to PC in two modes for file transfer i.e. MTP (Media Transfer Protocol) and Mass Storage Mode. Today almost every android smartphone is missing the mass storage mode but Xperia M has it. Only the external sdcard can be connected in Mass Storage Mode. It has aGPS which has good reception outdoors. It gives approximate location in Google Maps while inside the house and give more accurate location while outside. The phone can be used in three network modes either in GSM or WCDMA or auto mode. It can be used as a Wi-Fi router (Portable hotspot) or as a USB modem (USB tethering) for the PC or laptops. It supports 3G speeds upto 21 Mbps. Xperia M fully supports USB OTG function. With USB OTG you can connect pen drives, external hard disks, keyboards and mouse to your Xperia M. You can even connect other android phones to your Xperia M in mass storage mode for file transfer. You have to separately buy a micro USB 2.0 OTG adapter/cable for Xperia M in order to connect USB devices. USB OTG makes data transfer more portable because you can carry extra storage in form of USB drives almost anywhere. Xperia M has a 1750 mAh Li-Polymer removable battery. The max power consumption of phone at idle is 1.8 Watts and at full load is 2.8 Watts. The battery is powerful enough to provide backup of whole day. The battery is powerful enough to support USB OTG devices. It has got stamina mode which lowers power consumption when phone is idle by limiting background apps. In stamina mode when phone is idle then most android apps are stopped from running except the call, messages and Whatsapp. You still receive calls, messages and Whatsapp notifications in stamina mode. When the battery charges the LED light glows RED and turns to green when battery is 90% and above. See the image below it is showing the battery and Xperia M NFC tag (black sticker) in back cover. It also has low battery mode which when activated disables all the power consuming features like Wi-Fi, GPS, NFC, xLOUD, mobile data and Bluetooth. If these services remain always off on your phone then there is no need to use low battery mode. Once activated the low battery mode comes to work when the battery percentage is below 20%, this is default setting but you can manually set battery percentage for low battery mode. In Sony Xperia M the sound quality can be enhanced by sound enhancing features like xLOUD(increases the loudness of internal speaker), clear phase and clear audio technology. The xLOUD feature is really good when it comes to enhance the speaker loudness. When xLOUD is enabled then the Xperia M’s internal speaker is louder than any other phone’s speaker in its range. It has active noise cancellation feature while making calls for clear audio transmission. The Xperia M has the walkman app which is actually the music player. In headset the sound quality is not much loud but is clear. The stock headset has low sound and for good sound reception, quality and audio bass use the ear bud type earphones. The walkman app changes screen color when music is changed. LED light also change colors when music is changed. The walkman app is Sony Media App and Sony keeps updating this apps timely for betterment of performance and app UI so you should regularly check for updates in update center apps. Music can be wirelessly played from your Xperia M on other devices via DLNA, Bluetooth or NFC. For example playing music from your phone on a wireless home theater system will give you a better music experience. Xperia M has 1 GB RAM. The usable size of RAM is 840 MB out of which around 350 MB is user available for their apps. You can free up RAM by killing apps by using clean master app. Xperia M has 4 GB onboard flash memory out of which only 1.3 GB is user accessible. So you can install much apps in it but android games that require more than 1 GB storage may not be installed. Apps can’t be installed on external sdcard also most apps will store their app data on internal storage. Storage is upgradable to 32 GB. Except android apps all the data can be transferred to sdcard. Xperia M has 5 MP primary camera and 0.3 MP(VGA) secondary camera for video calls. You can use the Google+ Hangouts to make video calls on Xperia M. The 5 MP camera can record HD videos at 720p with HDR function. Also it can capture photos at 2592x1944 pixels in manual mode. In Auto scene mode the camera can only capture photos at 3 MP. The LED flash is bright enough with which we can capture good photos even in night. While recording videos in night the LED flash can be used as torch to increase brightness. It can capture panoramic photos. You can simultaneously capture photos while recording videos on Xperia M. Other camera features include burst mode, auto focus, touch to focus and smile shutter. It has 4x digital zoom and supports pinch zoom function while capturing photos and recording videos. With ‘Backlight Correction HDR’ you can capture HD photos on your Xperia M smartphone. The backlight correction HDR function captures two images of the same scene and combines them to make one HD photo. Other photo capturing modes are picture effects and scene selection. Check the photos below in normal mode and HD mode. The Xperia M has various sensors like light sensor, proximity sensor, accelerometer, rotation vector sensor and magnetic field sensor. Sony Xperia M is Playstation certified android smartphone. 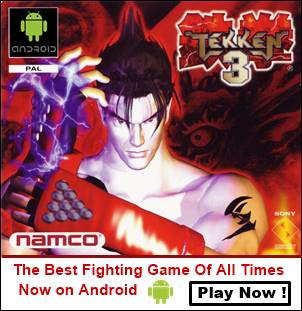 So you can play Playstation android games on it. For this you have to first download the Playstation Mobile App and then download Playstation Games For Xperia M. Currently the Playstation Mobile games are not available in all countries. 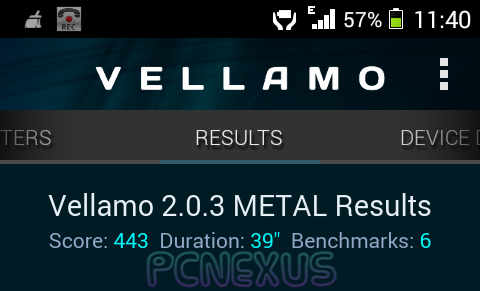 Following are the benchmark results performed on the Sony Xperia M android 4.3 smartphone using Smartbench 2012, Quadrant, Antutu, Vellamo, Linpack and Nenamark2 benchmarking apps. Xperia M is a mid range android smartphone with a strong GPU andreno 305. It fits in every hands and it has a slim design and it looks stylish, it is also light weight. 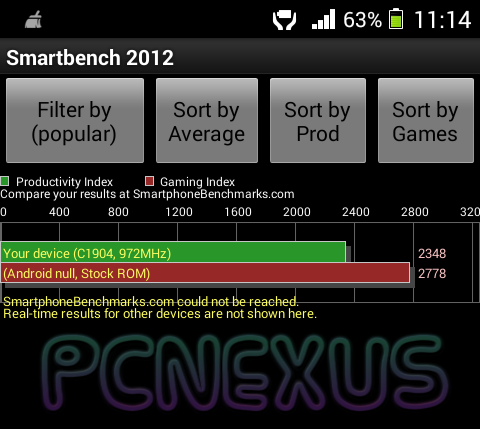 Coming to performance then 1 GB RAM is enough to play 3D android games without lags. A striking LED notification light will always keep you informed about all your messages and calls. The 4 GB internal storage might be low for most users because only 1.3 GB space is left for end users, so users that rely heavily on internal storage for apps should not buy this phone because storage is the main concern for them. The battery with stamina mode can provide a whole day backup with mixed usage. The camera quality is not best but is good, you can click good photos since Sony fixed the bluish effect in photos. This phone is good for mid range gaming and play games like Real Racing 3, NFS Most Wanted without lags. So this phone is a good buy for those who want a good gaming phone at affordable price and for them low storage is not a problem. The latest android 4.3 Jellybean build number 15.4.A.1.9 has various bugs. The very annoying problem is that Xperia M is now consuming more RAM even while idle, the OS is not much smooth and several apps crashes sometimes. The Google Now launcher stops working after some time. These bugs were not present in android 4.1 Jellybean. So if you bought Xperia M then never update it to android 4.3 Jellybean 15.4.A.1.9 otherwise performance will be reduced. Moto G is a better option over Xperia M.
I have covered the topic in detail about review of Sony Xperia M C1904 and C1905. If you have any questions then reply via comments and if you liked the article please share it.